LOL! Love it! Great stitching! 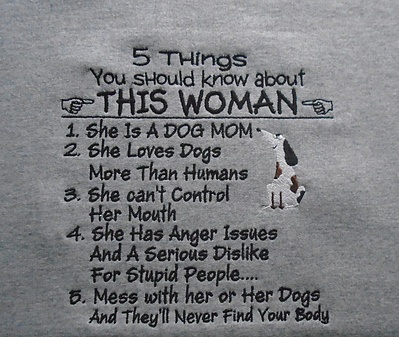 My daughter fits that to a T! But you might have to change Dogs to Horses!!! All the rest fits her!!! hahaha! 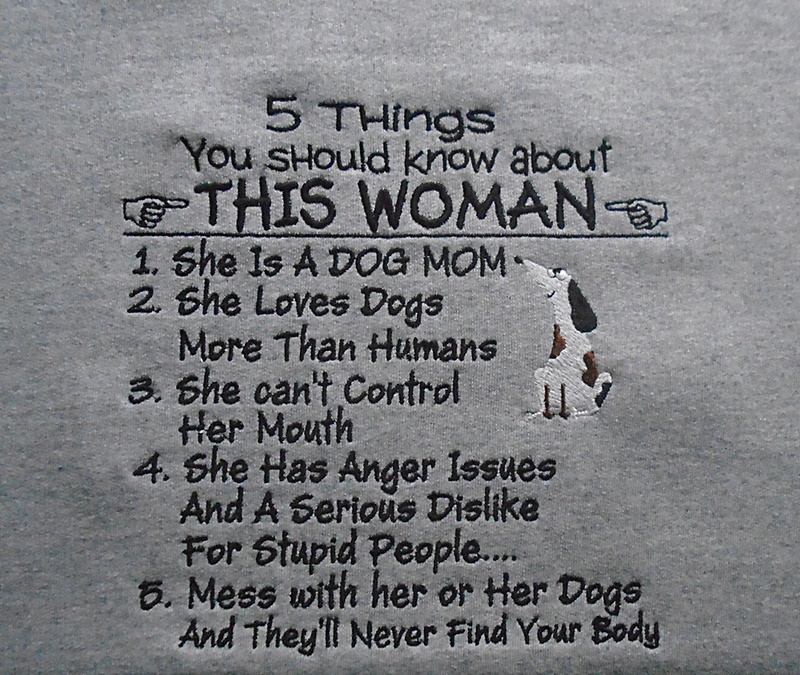 Gee, and here I thought I was the only woman like that...or most of that...and could add a few more things to the list! It's a great sweatshirt!